Why should I buy a used vehicle from Wilsonville Subaru? What is Subaru symmetrical all-wheel-drive? How do I find out what my trade-in vehicle is worth? What do these Subaru warning lights mean? Can I finance a vehicle if I have bad credit? Our Subaru certified program provides many benefits to buyers who purchase a Subaru certified pre-owned vehicle, including a $500 loyalty coupon, a free one-year STARLINK trial, additional vehicle coverage and much more. Learn more about our Subaru certified program. Our “No Bull” price is applied to all new and used vehicles at our dealership. Our used vehicles also come with a 5-day money back guarantee, comprehensive warranties, free CARFAX reports and an extensive 152-point inspection. We want to ensure that you will be satisfied with your new vehicle, whether you buy new or used. 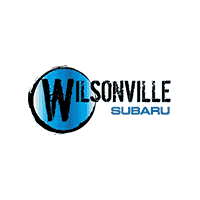 Learn more about Wilsonville Subaru’s used vehicles. Symmetrical all-wheel-drive provides drivers with added control and confidence, especially in slippery, snowy, or muddy driving conditions. All Subaru vehicles come standard with symmetrical all-wheel-drive, besides the rear-wheel-drive BRZ model. Learn more about symmetrical all-wheel-drive. How do I find out how much my trade-in vehicle is worth? You may want to know how much your current trade-in vehicle is worth before purchasing a brand new Subaru. This two-step process will help you determine how much your current vehicle will be worth before you bring it to a dealership to trade-in. A small light appeared on your dashboard recently, and you’re not quite sure what it’s trying to tell you. Well, you’re in luck. We have put together a comprehensive guide to all Subaru warning lights in order to help you identify them and take the appropriate action. Learn more about Subaru warning lights. This is an important question to ask yourself before you begin the car-buying experience. It is important to fully understand what leasing entails before you decide whether leasing or buying is best for you. We have put together a “leasing 101” guide to help you better understand the leasing process. Not everyone is willing or prepared to gather thousands of dollars to pay cash upfront for a new vehicle. If you’re one of those people, you’re not alone. Whether you’re someone who keeps track of your credit score on a regular basis, or someone who struggles with bad credit, there are some things you should know about your credit score and how it may impact your car buying experience.